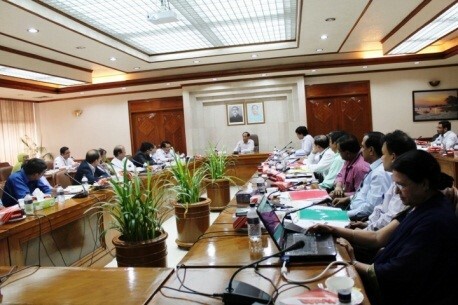 5th Private Sector Development Policy Coordination Committee Meeting, 8 June, 2014, Prime Minister’s Office (PMO). Chaired by Honorable Principal Secretary Mr. Abdus Sobhan Sikder. Attended by Chairman, BUILD; President, CCCI; Secretary, DCCI; Director, MCCI; Chairman, National Board of Revenue; Secretary, Bank & Financial Institutions Division; Secretary, Ministry of Industries; Secretary, ICT Division; Deputy Governor, Bangladesh Bank; Director, Board of Investment and several business leaders. Ferdaus Ara Begum, Chief Executive Officer of BUILD; Shihab Ansari Azhar, IFC PPD lead for South Asia; Mohammad Lutfullah, IFC PPD lead for Bangladesh.